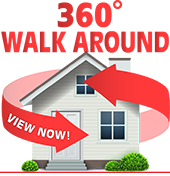 Simply click on these best-selling home plan videos below and see the home as if it was already built. These videos give you the feeling of walking around the exterior of the home. 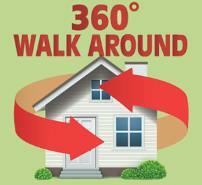 View these animated 360 degree walk-around views to see the home come to life. Easily envision the home you love as if it was built. These realistic videos offer the peace of mind many homeowners want by providing the opportunity to see the home built before buying plans. Many of our best-selling plans can be viewed by clicking the images below, then skip forward and/or backward to view the home at your own pace.